The room was silent but for a few clicks of a keyboard and the occasional swish of clothing. No spoken words, but full of life. It had been a while since I had been to Deaf church. Too long for me actually. My lack of exposure to ASL has lead my already struggling vocabulary to decrease. 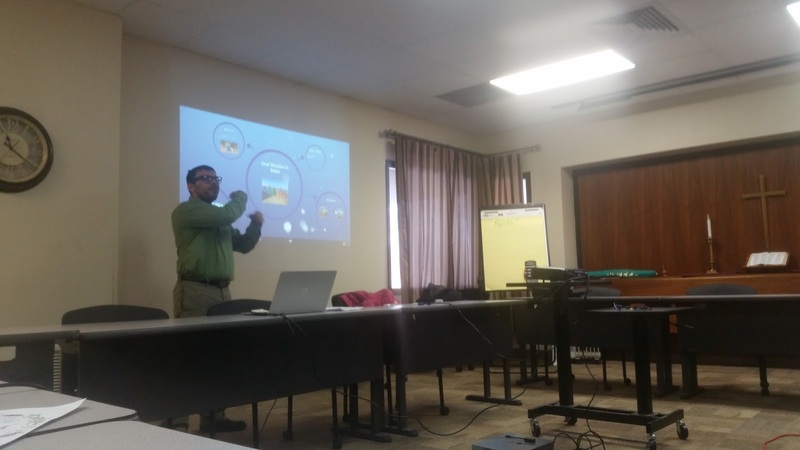 The people at Connecting Deaf church were more than gracious with my struggle to communicate. The lack of spoken words didn't decrease the Spirit of God that was in that place. I am not sure if you have experienced "knowing" someone was a Christian before they told you? My lack of ASL didn't decrease the fact that God was in that place today. It was wonderful to fellowship with other believers, to be encouraged in our journey back to Belize, and to work at my ASL. 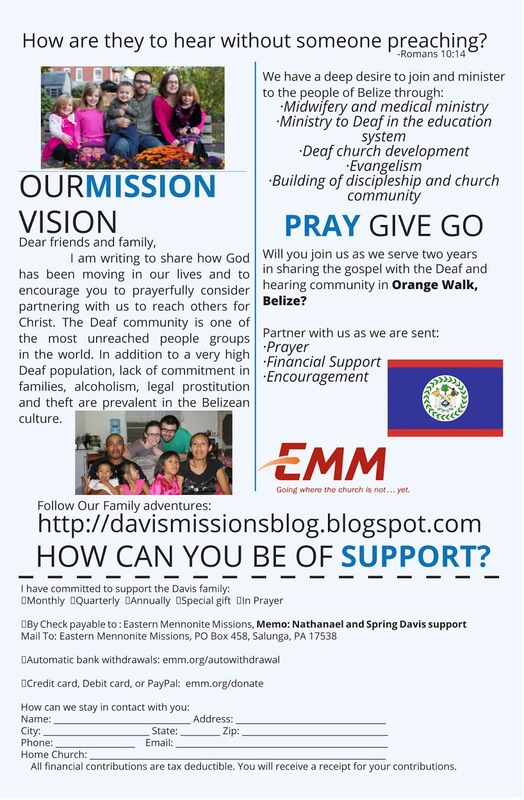 Connecting Deaf is one of our sending churches, and a support in the Deaf community. as a PS thanks to Greg Stemler for taking our younger two children to Hopewell for us :) I am sure it was an exciting day for him as well! "I'm going to really miss Mrs Hughes when when we leave." We walk out of time with her tutor and my daughter discusses how she is going to say goodbye. Goodbyes are an often brought up topic in our household. Spending a year internship in Belize then returning home for fundraising was in some ways a good idea. We got our feet wet. We were able to have a tangible answers to what we will do in our next term. Our children also grasp the concept of saying goodbye. They know what it means to really miss someone. We have multiple conversations centering on what we miss, and who we miss (or will miss).